Iceland is one of the most unique countries in the world. It offers breathtaking landscapes of gorgeous green mountains, stunning glaciers, towering waterfalls, and powerful volcanoes. If you love nature, you will most certainly love this country. Here are 15 stunning photos that will make you jump on a plane to Iceland. 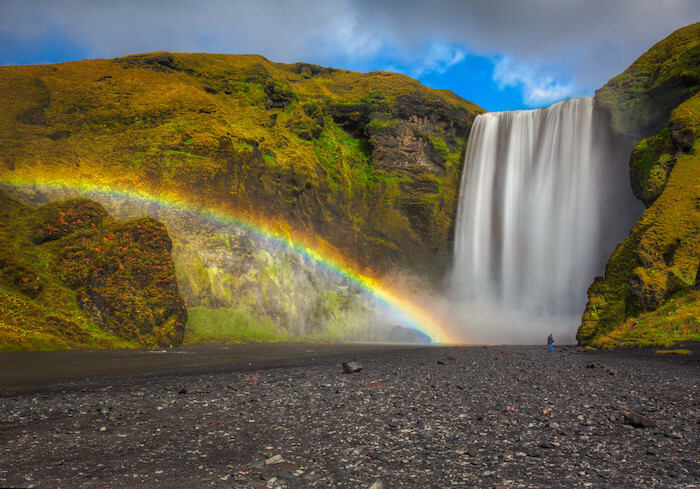 This is Skogafoss, one of the biggest waterfalls in Iceland. It is a very popular tourist destination thanks to its proximity to the capital of Iceland. If you wait for a few hours, you may too experience a beautiful sight like this.